Who will win the 2017 World Rally Championship? Neuville for the win !! 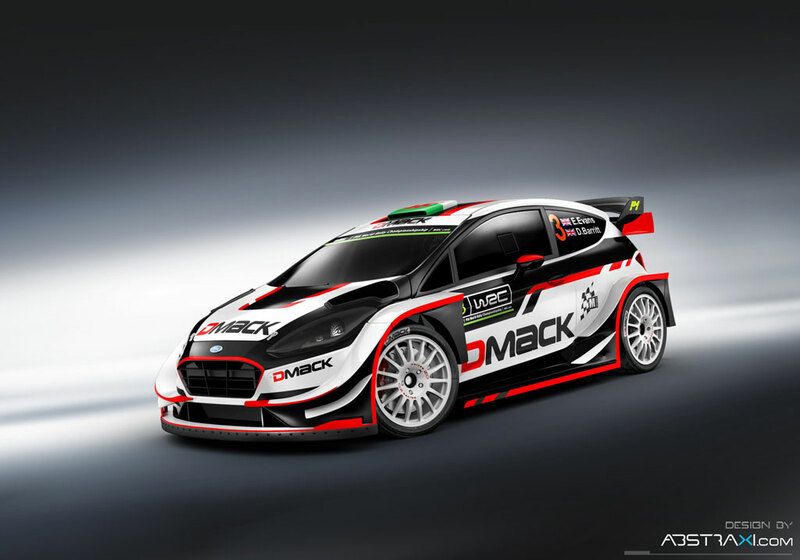 Evans is set to run a DMACK sponsored MSPORT Ford. As for the Qatar VW rumour, Nasser Al Attiyah said its delayed until 2018 but will likely be happening (from what I can gather). Camilli has been given the same treatment as Evans, back in an R5 car. Mikkelesen will be the benchmark for everyone there (I'd guess he is angling for the Qatar VW team). That reminds, I want to buy some Sköda merchandise...good colours. Looks great! 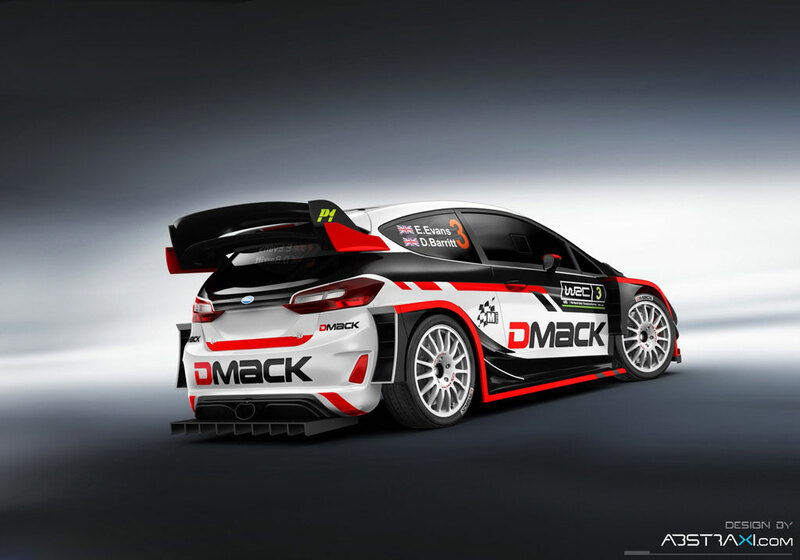 I thought DMACK was expanding into a two-car operation, but I guess that's for later? Also, I can't see why Al-Attiyah doesn't join mid-season? Great to see Evans back in WRC! So the WRC class is a total mystery, and anyone could win. In the meanwhile, there's some insane competition in the R5 cars! It's gonna be such a brilliant rally... Those R5 cars will be surprisingly high in the final standings. 1. Toyota is doing a great job filling the gap left by VW. There was a lot of criticism around Toyota GAZOO Racing and Tommi Mäkinen ranging from driver choices to the location of the team. The testing left a lot of questions, and Sébastien Ogiér snubbed the team to join M-Sport instead. Nobody - probably not even anyone in the team - excepted that they would have a victory and the championship lead at this point. The reliability of the Yaris has been on admirable level, and their pace is very good - the 2nd place in Monte Carlo came largely thanks to the high attrition rate, but in Sweden their speed was on level with everybody else. Remember that neither the team nor the car is 100% ready yet, so they can be expected to keep improving their form. 2. Latvala has reached a new level in his driving. After getting trounced by Ogiér at VW and a really painful 2016 season, Jari-Matti's driving career was on a downward spiral. Salvation came in the form of Tommi Mäkinen who still believed in him, and he has repayed that belief with two fantastic performances. Latvala is the number one driver in his team, and it seems like he may have matured enough to succesfully carry that burden. He is the black horse in the 2017 championship race. 3. Thierry Neuville is the fastest guy out there. One thing that is easy to forget is that Thierry Neuville has dominated both Monte Carlo and Sweden until his premature exit. The pace of that Hyundai under his command has been stellar, and his performances in the power stages have somewhat softened the blow from the two disappointing retirements. He will win rallies this season, and will be a challenger for the world championship - perhaps even the favourite. There is most certainly no reason to count him out yet. 4. Ott Tänak is giving Sébastien Ogiér a run for his money. In Monte Carlo, Tänak looked like he had what it takes to beat the world champion in pace until he encountered technical problems that dropped him into third place - a position that only his storming performance on the power stage allowed him to keep. In Sweden, he proved that it was not a one-off by being consistently faster than his prestigious teammate, taking home a well-deserved second place. We already saw flashes of the Estonian's potential in 2016 when he punched above his weight in the DMACK Ford, and now he has a machine that is capable of victories. With his wild driving style, he should at least be a fan favourite! 5. Citroën is in a crisis. 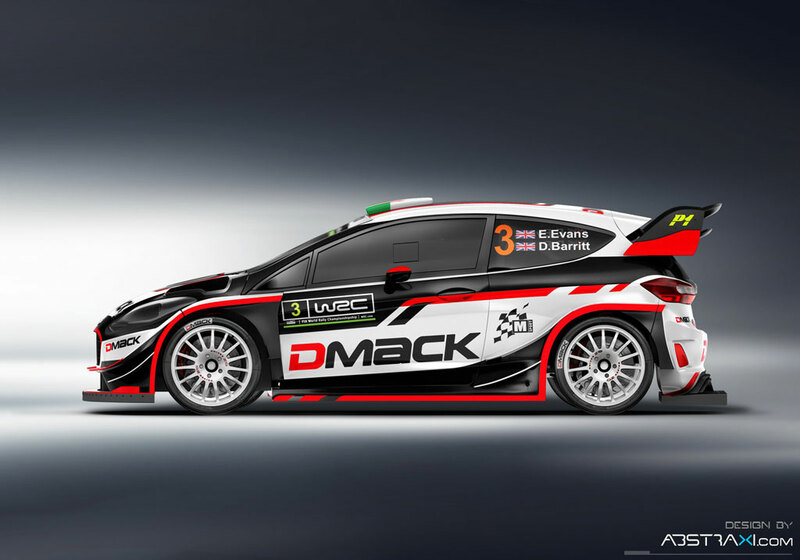 The French team spent 2016 preparing for this season by building their new WRC machine and was expected to be well-prepared to challenge for the title with Kris Meeke as their leading driver. The sad truth is that the pace of the C3 has been nowhere - they only have one stage win under their belt - and Meeke has crashed out in both rallies. This has left Craig Breen as their leading driver, the Irishman having driven their best results so far. He has been fifth in both rallies - once with the old DS3! This has to be a terrible disappointment for the once unbeatable marque. 6. WRC is doing better than in a long time. The sudden exit of the reigning champion team would be devastating for most motorsport series (just imagine Mercedes pulling the plug on F1 out of the blue) but has anyone really even noticed the departure of VW in middle of all the fun? The cars look and sound awesome, we have real competition going on, exciting new stars emerging, new manufacturers appearing... So many years we watched Mikko Hirvonen scraping up the leftovers from Sébastien Loeb, only to be followed by years of watching Sébastien Ogiér going from victory to victory. I had some serious doubts about the survival of WRC, but somehow it has returned to being the spectacle it is supposed to be. Watching those cars blast through the fresh air of snowy Sweden at insane speeds makes Formula One look dusty in comparison, doesn't it? 1. Four different winners from four different teams. From the competitive point of view, this is one of the best WRC seasons in a long, long time. It is very hard to predict the winner before each rally, as almost anyone is a challenger. Gone are the days of Al-Qassimis and ex-F1 stars trying to keep it between the trees - at the moment we have 7-9 guys who are capable of winning! This is a very good time to be a rally fan. 2. Kris Meeke is the fastest guy out there. Citroën has discovered its lost pace - sadly, Meeke's championship push is seriously compromised by the fact that he has only finished the rally on points once, even if it was a victory. In fact, he is behind Craig Breen in points, Breen having finished each rally in fifth place. It's quite possible that Meeke will score the most victories of all this season, but it won't get him the championship unless he starts finishing more rallies. 3. Ogiér's consistency makes him the favourite in the championship race. He has only won once, but he has finished on the podium in each race, giving him the championship lead. It's a different kind of situation for him, having to fight hard in each rally and doing the odd mistake here and there, but his rock-solid consistency nonetheless makes him the favourite for the title. 4. Watch out - Neuville is coming! Yes, the first two rallies ended in disappointment for Thierry, but he is back now. Following a third place finish in Mexico, the Belgian beat Ogiér in a straight fight in Corsica, giving his championship run a boost in the arm. Add to that a steady influx of points from power stages and he is still very much in contention. 5. Don't count Toyota out just yet. Mexico was bad for them, true, but the team knew if would be their toughest rally, and they still got a sixth place out of it. Corsica wasn't particularly convincing, but remember that Jari-Matti Latvala is not at his strongest on tarmac. Nevertheless, once he got his settings right, his pace improved significantly, and although he only won one stage, it was the most important of them all - the power stage. He is sitting second in the championship standings, not far behind Ogiér, and we are looking at a series of gravel rallies coming up, so success can be expected. Meanwhile, Juho Hänninen seems to have inherited Latvala's infamous inconsistency and will simply have to stop hitting stuff with his car. Argentina should have been right after Mexico instead of corsica in between ..the amount of money this costs is immense. As Ott Tänak takes his maiden WRC victory in Sardinia, the championship becomes a four-horse race between the two M-Sport drivers, Neuville and Latvala. Fantastic work from Esapekka Lappi as well - fourth place, six stage wins and full power stage points should make Tommi Mäkinen smile pretty wide.